This artwork is one of 13 donated by Derek Reimer and Maxine Charlesworth in 2015. It was a gift to the donor in ca. 1980. Reimer was Maynard’s executor. 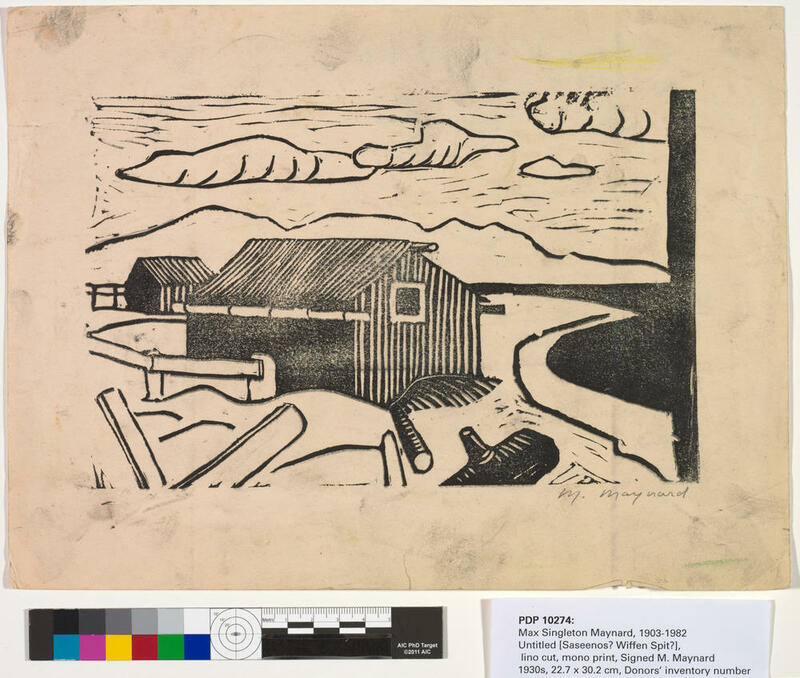 The item consists of one lino cut mono print, possibly depicting Saseenos or Wiffen Spit. The title is not known. Access to original artworks requires an appointment. Please contact the reference desk. Signed “M. Maynard” in bottom right corner.